Spring is nearly here and as we prepare for some slightly sunnier days and the sound of the birds chirping, we decided to spotlight one of our favorite places for breakfast or brunch on Bainbridge Island: Good Egg! Since opening in 2017 in the corner spot at Winslow Green, Good Egg has made its way into the hearts—and bellies—of locals. When you enter the restaurant, simply grab a menu, order at the counter, and find a comfortable place to sit down with family or friends and enjoy your meal. 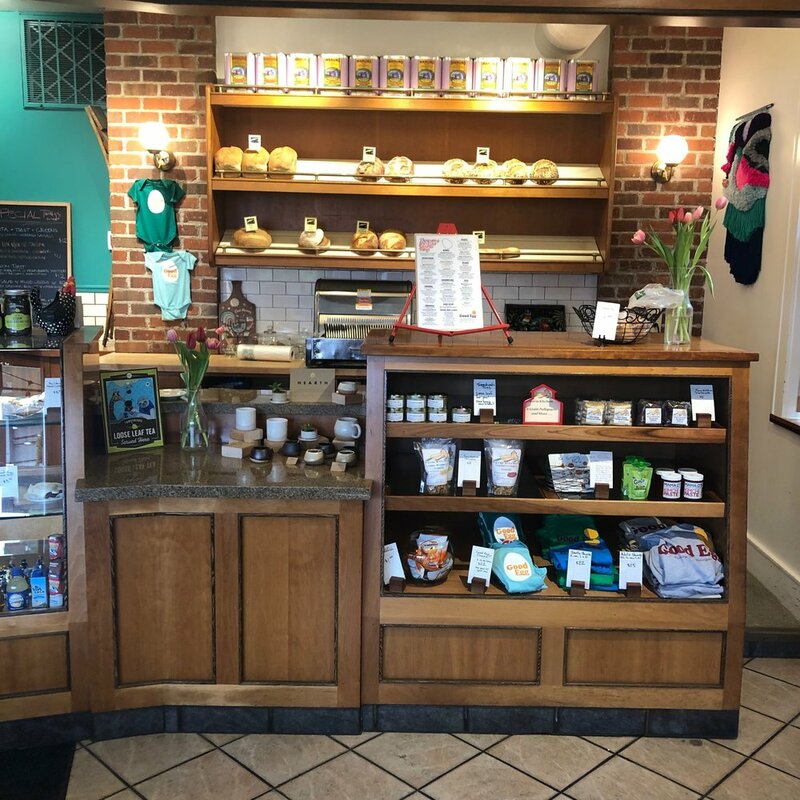 Some of our favorites include the 8-Grain Pullaparts from Farm Kitchen, fresh pastries from Pane d’Amore in Port Townsend, the homemade cinnamon rolls and their delicious custom coffee blend. There is more to enjoy at Good Egg than the food, as the restaurant hosts an arrange of events, from educational nights to poetry readings, pop-up dinners and more. Check out the latest events here. Whether it’s a short stroll to Winslow or a weekend getaway on the ferry to visit the Island, Good Egg is your place for a breakfast or lunch that will make your taste buds happy. Plan your visit here.